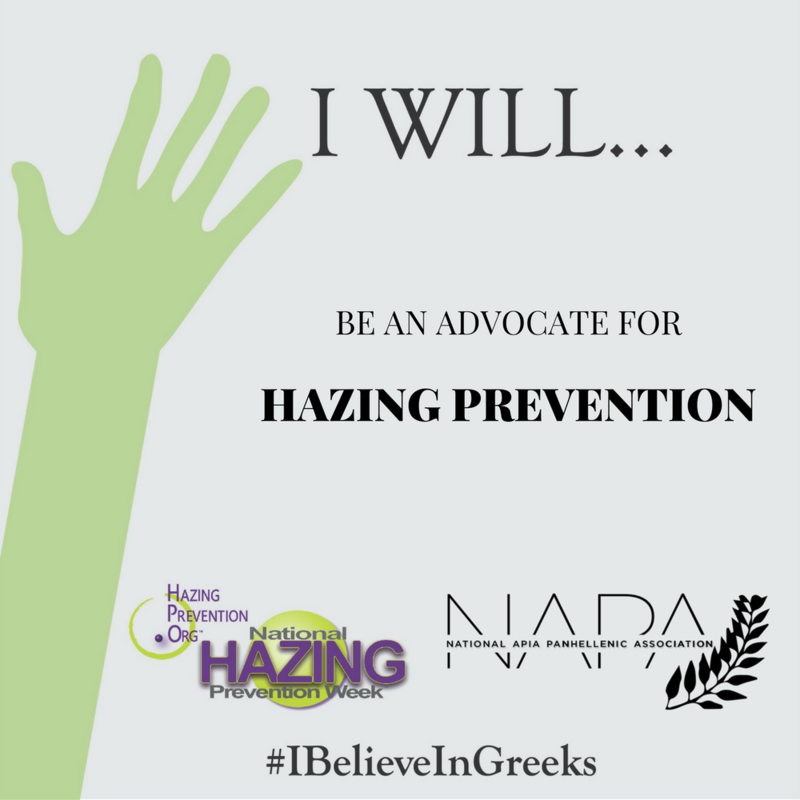 National Hazing Prevention Week (NHPW) 2016 kicks off today! In conjunction with NPC, NALFO, NIC, NPHC and HPO, NAPA is supporting NHPW through a social media campaign centered around the hashtag, #IBelieveinGreeks. HazingPrevention.Org™ will host a series of college screenings of the new feature film GOAT as part of its efforts to empower people to prevent hazing. Starring Nick Jonas, Ben Schnetzer and James Franco, and based on the memoir by Brad Land, GOAT tells the story of two brothers who become embroiled in hazing at a college fraternity. What occurs in the name of ‘brotherhood’ tests both boys and their relationship in brutal ways. Directed by Andrew Neel, the film received wide acclaim at the Sundance Film Festival and will be released in select theaters nationwide, on demand and digital HD on September 23rd by Paramount Home Media Distribution. GOAT offers a realistic and harrowing depiction of the sometimes devastating effects of hazing. Without painting anyone as ‘good’ or ‘evil,’ this well-crafted film gives us an excellent opportunity to open a discussion about the psychological and philosophical underpinnings that give rise to hazing and why it is so critical to prevent it.